The airship has been a classic way to fly across the sky in video games for decades now. From the retro JRPGs of the PSone up until this year’s Ni no Kuni II: Revenant Kingdom, the mode of transport is clearly here to stay, but never has it quite seen battles like this before. Bow to Blood, a PlayStation VR game from developer Tribetoy, weaponises the vintage air machine for an otherworldly contest that is desperate to find a winner, but is this one worthy of worship? Taking place in the assumedly far-flung future, a brand new game show is looking to crown a champion in the Bow to Blood arena. With eight competitors in total, you’ll be competing for points in a series of events that are set to test you in a variety of ways. 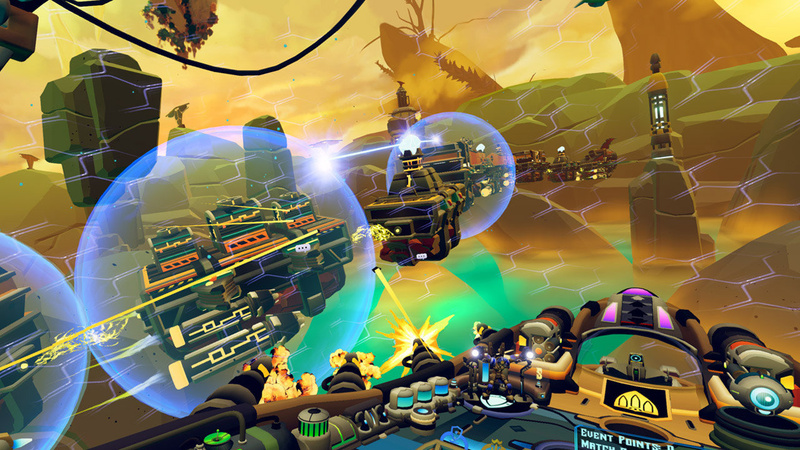 Simple objectives need dealing with, races are there to be won, and there’s always time to dabble in a bit of one-on-one action as you try to destroy opposing airships. This relates back to the game show format via the points forming a leaderboard at the end of each match, which is comprised of two rounds. The two challengers at the bottom of the table then enter the culling, an affair that asks the six other contestants to vote for who they wish to leave the competition. Stick it out all the way to the end and you will of course be crowned champion. 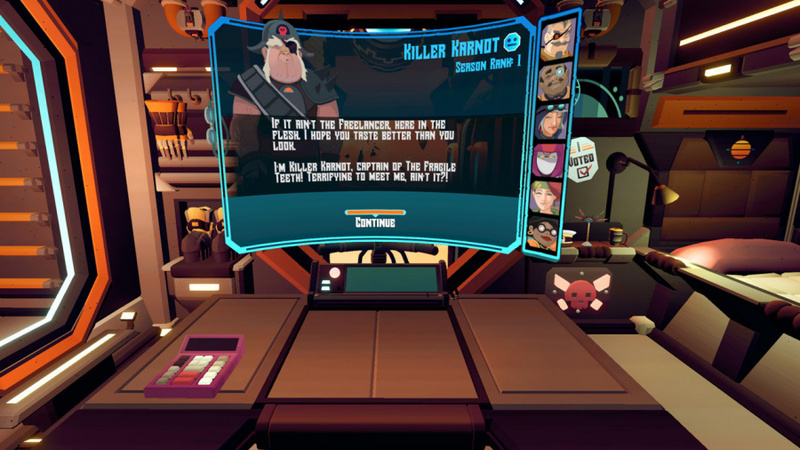 It’s a particularly cool concept to wrap your game around, but eagle-eyed readers may notice that these trappings are very similar to that of StarBlood Arena. 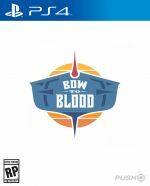 It is indeed comparable to the 2017 space shooter, however Bow to Blood takes things one step further with morality and relationship mechanics that elevates the experience to a whole new level. In-between missions and even when completing objectives up in the air, you’ll be able to interact with other entrants in order to form allegiances, friendships, and even enemies. Conversations back at base allow you to strike up deals whereby you may transfer some of your points to another player in exchange for better ammunition in the next match, or accept a large sum of points with the knock on effect of turning a lot of rivals against you. And during a game, you could offer help and protection to a competitor while they repair their ship. It’s fairly obvious what sort of ramifications your actions will have on a relationship with an opponent, but the mechanic adds so much more depth to the action. You’ll pick and choose your friends in order to maintain a greater standing outside of the leaderboard itself, or ditch anyone and everyone in the hope that you can accrue enough points to survive a culling. Either way though, the morality system is an impressive inclusion that ups the ante for contestants while also offering you something to focus on outside of the action. Speaking of which, the act of controlling, navigating, and letting your weapons do the talking is the other side of Bow to Blood. 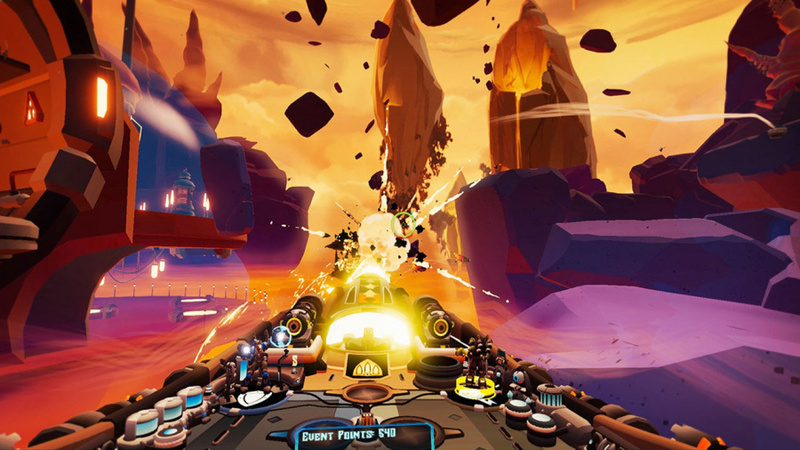 With the throttle mapped to the right thumbstick and mobility dictated by the left, your head is left to aim the ship’s cannons by way of a reticule in the centre of the headset’s view. It’s a fairly simple control scheme, but complexity can be found if you look for it. The airship is of course a very large beast that is going to take time to turn and manoeuvre around tight environments, and so learning when to use the throttle in combination with a spin of the wheel is vital for getting about enclosed spaces. Watching your vessel go from zero to light speed, and then dial it back to a steady pace for a tight turn is a joy to watch in itself. Another aspect that impacts your performance is the control panel at the helm of the ship, which allows you to divert power to four different places in order to maximise their effectiveness. An overshield, advanced weapons, attack drones, and boost are the four tools in question, and activating one of them at the right time with the correct amount of power can turn the tide of battle. While their usefulness may be a little lost on you during the early stages of the show, the impact of an overshield or an attack drone to help deal with enemies is imperative to success when things get down to the wire. The mechanic is yet another neat addition that helps Bow to Blood stand out from the crowd. What isn’t so unique however is the fact that every stage of the competition is procedurally generated, meaning that if you have to bow out in an early round, the subsequent events in the next season won’t be the same. This helps when it comes to objective variety as you’ll always be doing something different, but it becomes a hindrance when the locations and environments you’ll fly through all look very similar. There’s a vibrant art style running through the heart of the game, but it can get a little tedious when it all looks sort of the same after the fourth or fifth round. The look is sure to impress upon first glance, but don’t expect any visual revelations to come your way when the going gets tough. There’s another place that you might have some difficulty with too, and that’s the pit of your stomach. For the first 30 minutes or so of our airship captaincy, we struggled with motion sickness as we sailed the skies thanks to the tight turns and a lack of solid ground to put our feet on in the game world. This feeling was alleviated for the most part after tweaking some comfort options on the pause screen, but we can’t forget that opening half-hour of uneasiness. 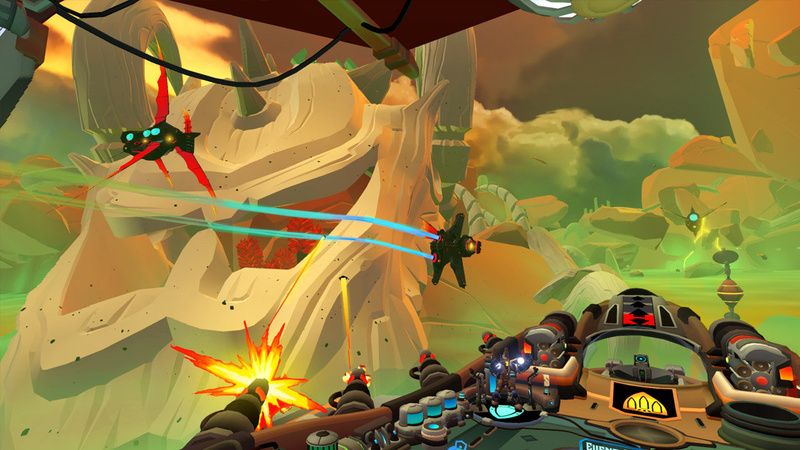 Those completely accustomed to virtual reality may not suffer any issues at all, but we think we can confidently say that this isn’t the best game to kick off your VR experience with. 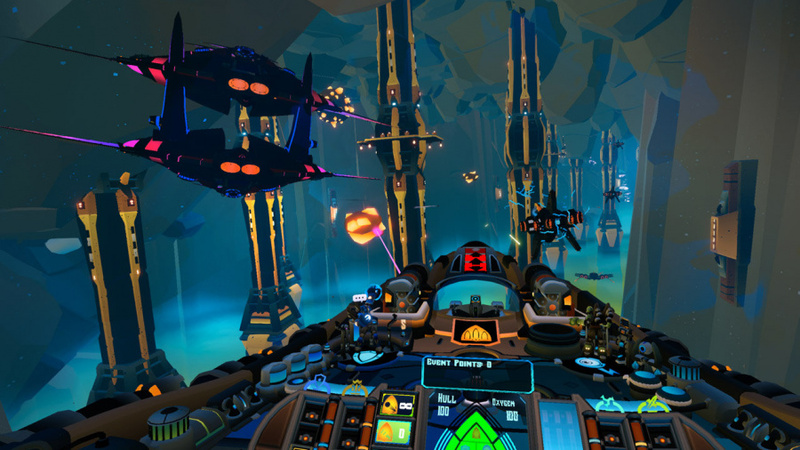 While Bow to Blood doesn’t revolutionise the virtual reality space, it does offer a solid experience that builds upon the foundations laid by previous titles. Thanks to a surprisingly robust relationship and morality system that weaves its way into gameplay in a natural manner, you’ve got a game that challenges both your talent up in the air and your heart when your feet are back on the ground. This is not quite the game I thought it was, but it actually sounds better than I was expecting. Very interested to try it out.